Whether it’s a hike through the snow or sledding with your kids, it’s important to have complete control over your balance. Compacted snow and ice can be dangerous, so it’s important to wear shoes with good traction. 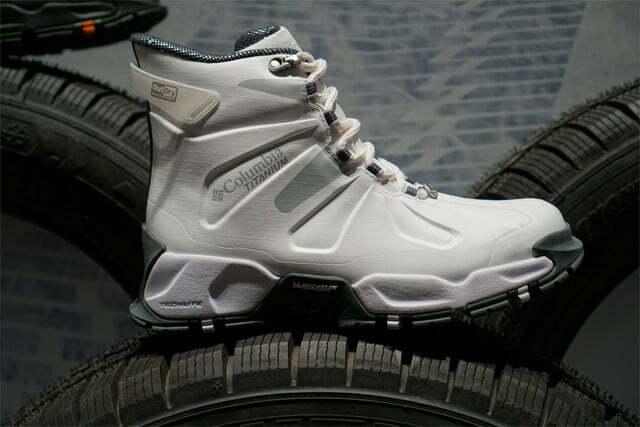 For the next winter season, Columbia and Michelin have teamed up to create the ultimate winter boot. 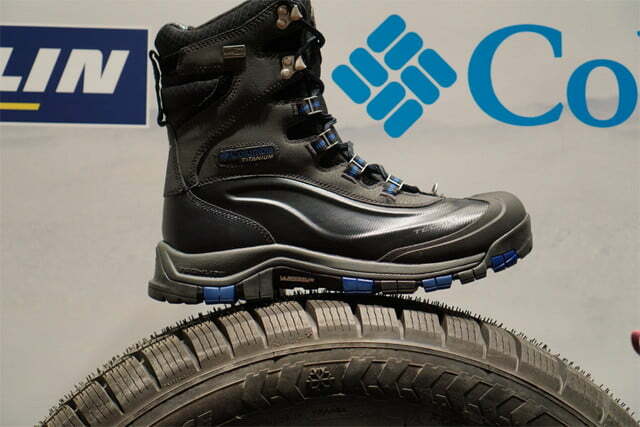 Columbia works on keeping your feet warm and dry, while Michelin provides the necessary traction. No one is falling over in the new Canuk Titanium boots. What makes these boots so warm is the Thermal Reflective Warmth system that Columbia has begun using in all their cold weather gear. This is that lining with all the reflective dots. These dots are actually there to reflect and retain more of the warmth our bodies naturally generate. It works the same way those metallic emergency blankets do. Add on to this 600 grams of insulation and you’ve got yourself one warm boot rated to minus 65 degrees Fahrenheit. Warm feet can’t stay that way if they get wet. Keeping them dry is Columbia’s Outdry Extreme waterproofing. This innovative layer has become a staple in many of their products. It provides substantial waterproofing while remaining breathable. There’s no point keeping your feet dry if they are just going to get sweaty. 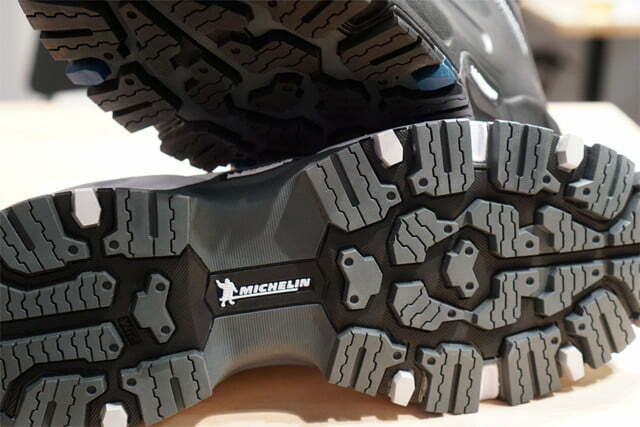 Where Michelin comes into play is the boot’s sole. 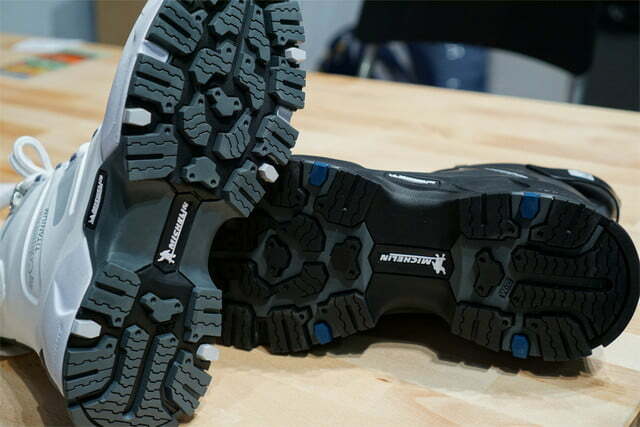 Here it utilizes its quality rubber to create something it calls Ice Control. The rubber itself is made to be more resistant to slipping, while the shape allows the boot to really grip the surface. 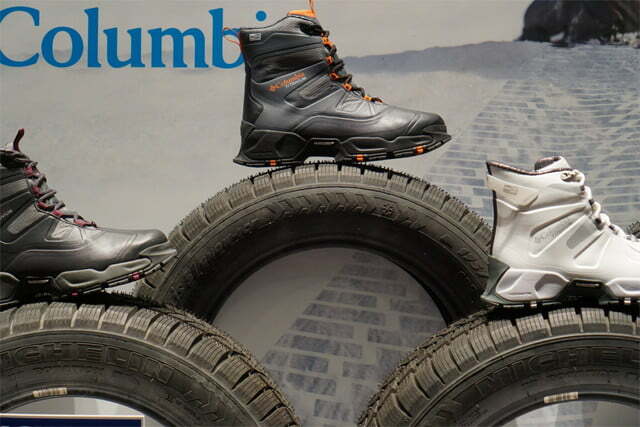 Since the rubber is also resistant to abrasions, these boots will also last you many winter seasons to come. All this combines to make the Canuk Titanium boots some of the most formidable boots on the market. When these go on sale later this year, they will retail for $200. With as long as these shoes will last, that’s a small price to pay.